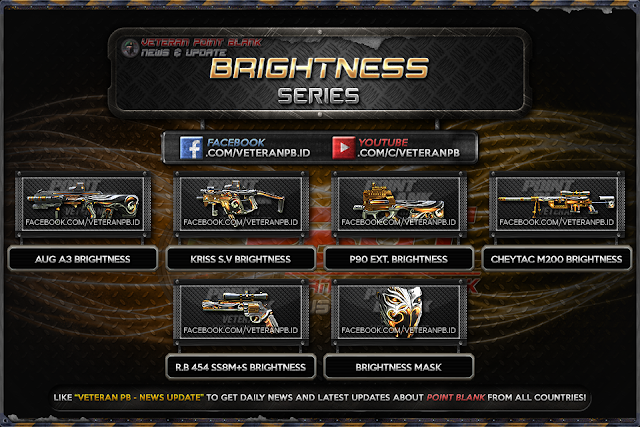 Hello everyone, at this time I will share about Brightness Series Point Blank Garena Indonesia (PBGI) for Counter Strike 1.6, Condition Zero, Counter Strike Point Blank, Counter Strike Revolution and Counter Strike Extreme. Brightness is made with light design of shiny gold waves on gray texture. Brightness dibuat dengan desain terang dari gelombang emas yang cerah dalam tekstur abu-abu. Brilho é feito com o design brilhante de uma onda dourada brilhante em uma textura cinza.